We are loving stitching the Blue Bird of Happiness by ellen giggenbach. There are large areas to fill with stitches and the colors are just yummy! All of ellen’s designs are equally happy. Check out the Black Swan, masterfully stitched by Eleanor Marquis. She even wrote up the stitchguide for us! 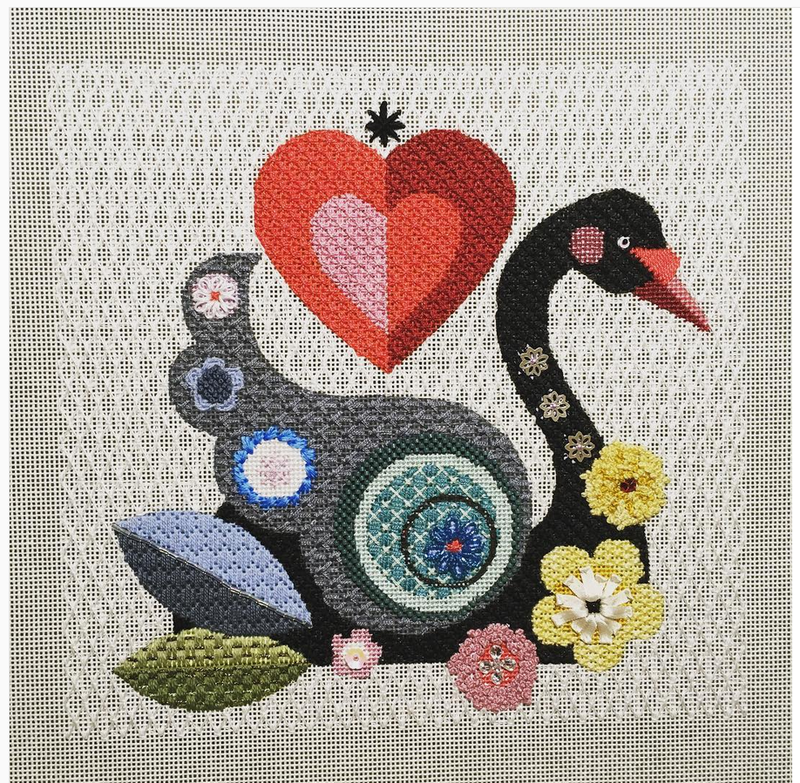 You too can stitch your own black swan. The stitches are really fun. If you would like either project sent your way, give us a call at 410.296.0405 or order online. Here’s the link to all of ellen’s current designs. « Previous: What shall we stitch for Halloween?